A large, French copper, circular baking dish. 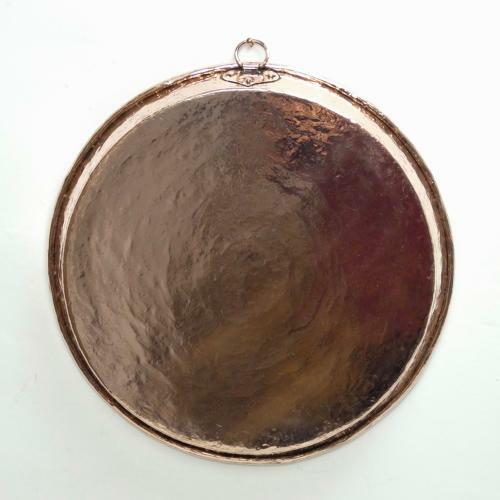 This piece is made from a heavy gauge of copper. It has a small, copper hanging loop which is attached to the dish with a heart shaped fitting. The rim of the dish is rolled and the copper has a plannished finish. It dates from c.1860 and it is in excellent condition. We have not had it re-tinned but the tinning is still in very good, usable condition.